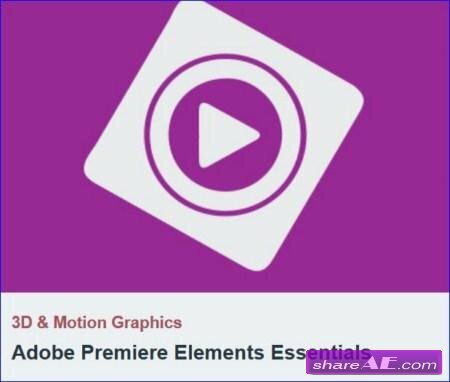 Adobe Premiere Elements is the entry-level video editing application of choice for amateur video enthusiasts. Whether you like to make home videos or would like to add something extra to your creative work, this course will teach you what Adobe Premiere Elements can offer you and how to work with it. Instructor Jordy Vandeput will teach you how to get started with Adobe Premiere Elements, and some neat tips and tricks to add to help you get creative quickly. Learn how to digitally extend a set with After Effects. Lee Lanier shows how to remove a tricky green screen with the KEYLIGHT plugin and a custom luma matte, motion track a new background with appropriate parallax, digitally dress a set with static artwork, fabricate shadows, and relight the footage to create a realistic result. In this tutorial we'll be covering the entire pipeline of compositing live action footage into a lunar environment. Keying and compositing will be done inside of Adobe After Effects, matchmoving in PFTrack 2011 with the recent node based workflow, texturing in Photoshop, and all 3D processes done in Autodesk Maya using mental ray. By the end of this training, you'll have the knowledge to take live action, green screen footage and composite it into a realistic 3D environment with a re-animated matchmoved camera. This training utilizes powerful tools found in Cinema 4d, Mocha (free with After Effects), and PFTrack. Although only After Effects is necessary additional software will bring your films to the next level! One of the most common visual effects tasks is to replace an image or video in a shot with another—be it a computer screen, a picture on a wall, a bumper sticker on a car, etc. 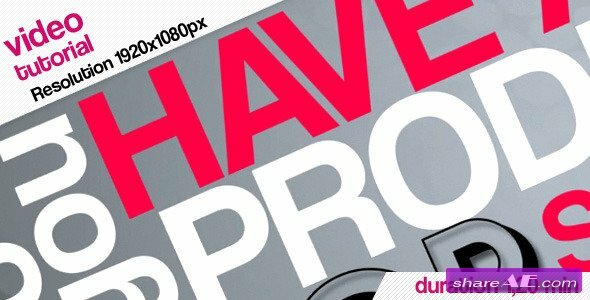 This project-oriented course walks you through the major steps of replacing screens in After Effects, including tracking a screen in mocha AE, matching the new display to the depth-of-field blur and lighting of the original shot, and then cutting out a hand obscuring the screen using the Roto Brush and Refine Edge. A bonus movie at the end of the course discusses alternative approaches, including a demonstration of using reversible stabilization in Warp Stabilizer VFX for the tracking portion of the shot. In this course, Rich Harrington offers tips for creating a fast and efficient motion graphics workflow in the After Effects timeline-leaving you with more time for creativity. 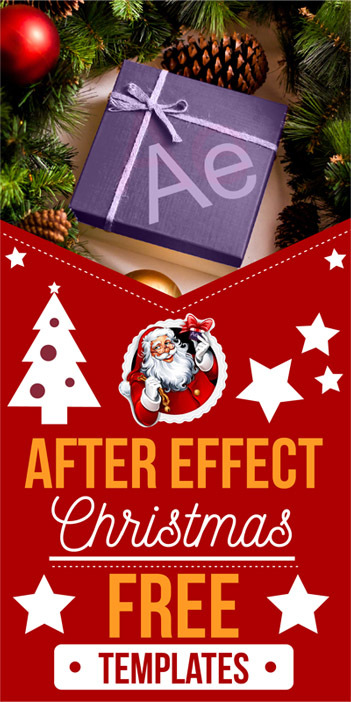 This installment of After Effects Guru reveals time-saving features for navigating to specific timecodes, adjusting keyframes, changing layer behavior and applying effects with switches, and using markers to annotate your projects. In this workshop Jeff Foster — video producer, compositor, visual effects artist, and author of “The Green Screen Handbook” — teaches you the basics of green screen compositing and setting up a streamlined roto workflow with After Effects and a Wacom tablet. You’ll get real-world tips on getting the best mattes and keys from your green screen shots, stabilizing and tracking footage in After Effects, and using the Roto Brush feature to create quick and accurate mattes of anything that moves in the frame. You’ll also learn how to create more believable composites by matching your foreground and background plates, using roto-spline masks, and applying match-moving techniques. In this series of tutorials, we'll learn various methods for changing the timing of our footage in After Effects. There are lots of different techniques for retiming, all with different pros and cons that might make one technique be a better fit for you over another. We'll begin by understanding the differences between Time Stretching, Time Remapping, and Timewarping. In this After Effects tutorial we will learn how to key a greenscreen using multiple layers to capture as much detail as possible. Using multiple layers and keyers, we will be able to focus our efforts and create a better final matte. In this series of tutorials, we’ll take an introductory look at the MoGraph toolset in CINEMA 4D. MoGraph is a set of tools that provides us an unlimited world of possibilities for handling motion graphics. In this series of After Effects tutorials, we will talk about the steps we take to create an animated tablet commercial while learning tips and concepts you can use in your own projects. We’ll start by discussing the thinking behind what shapes and animation types we will use in the process, and establish that none of these decisions are arbitrary or based on something just “looking cool”. There is a reason behind all of the choices we make as we progress through the project. Welcome to Developing Star Trek Effects in After Effects. We will becreating several awesome effects in a style similar to the JJ Abrams Star Trek movies.The Effects we will create are: A Starship in space, A Ship ﬂy by, A Starship shooting a Missile, Phasers and Pulse Guns, Transporters, and Forceﬁelds. We will use After Effects and 2 Video Copilot Plugins (Optical Flares and Element 3D) to create these effects. We will also talk about perfect compositing: perspective, aesthetics, randomize, feathering, environment, color & timing. In this series of tutorials, we'll learn about creating, controlling, and using text in After Effects. We start out by learning about the two different type tools and follow that up by navigating the Character and Paragraph panels. There are a few controls within these panels that even the most seasoned After Effects user may have never used before. You don't have to be an After Effects genius to be able to make amazing motion graphics. These video tutorials are at the perfect pace for even beginners. I highly recommend taking After Effects: Motion Graphics for Beginners before taking this course. But for those of you with After Effects experience, jump right in! The course starts with video tutorials on shape theory and techniques. We go over the basic process of creating shape motion graphics. 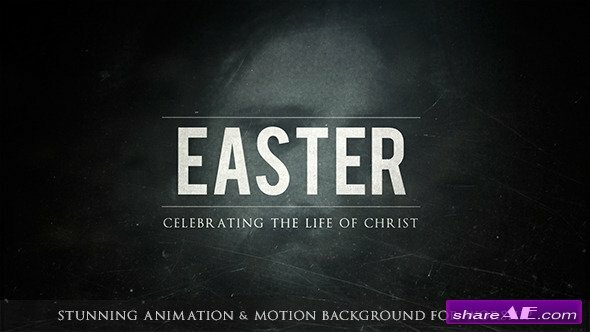 Then we go dive deeper by using these shape layer animations to create professional motion graphic projects. I'm with you every step of the way, and am always available for questions. Learn to use Trapcode Suite by Red Giant with this course by veteran film director Christopher Kenworthy. Trapcode Suite lets you create streams of particles, beams of light and complex 3D effects for Adobe After Effects. This course, taught by Mark Bowey, is about creating graphical and typographical motion sequences, which are designed to slot in over pre-shot cuts from a short film. So the graphics and live action really merge together to make stunning visual sequences. In this series of tutorials, we'll talk about the brush tools in After Effects. We'll start by getting familiar with how the brush tool operates and the various controls and settings that are available. We'll talk about techniques for animating the paint strokes and also ways to use the brush tool to create animations for revealing layers in a composition. We'll go over how we can add expressions to paint strokes that we've created to animate their properties. We'll also talk about the eraser tool and its similarities and differences to the brush tool. A complete guide to conceptualizing, creating, and using a video intro to promote, grow, and strengthen your brand. Watch any professional commercial, YouTube channel, or television series, and one thing they all have in common is that they have a video intro! You know? 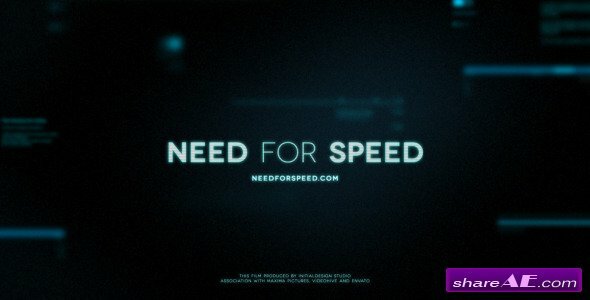 That 5-10 second animation with their logo? You can get the best render for your projects, whether in architecture, cinema , designs., commercial, television etc. Vray is the most advanced render that exists to make stunning realistic images,now with cinema 4 d you can get impressive results with more than 35 sets of lights. In this tutorial , we will learn how, how to do the rigging in cinema 4d tutorial, for this process we use a very simple tool that is the xpreso which we have two different versions from the cinema 4d r14 for forward. We also teach how to do the cabling system that sometimes we become a little more complicated. This robot is very used in movies such as Elysium, Robocop, and games like gear of war or halo. At the request of our friends and dearest clients, today we are going to offer a newcinema 4d tutorials transformers which is not so complex. On this occasion we are going to use one of the most beloved transformers as it is the bird laserbeak robot of the original series in the 80′s with the generation one. Tim Clapham returns with an inspiring new term for Cinema 4D, aimed at the intermediate user, this course will explore creative ideas for developing your motion graphics projects. Working with Cinema 4D R15 Studio, Tim demonstrates production proven techniques covering many of the essential tools such as MoGraph, Dynamics, Hair and Cloth, leaving you with an expanded skill set of techniques and methods which will enhance your creative workflow and productivity. Several classes will be based around the innovative use of typography, we will be animating letters, building type and working with some interesting and exciting techniques for displaying motion graphics elements in unique and inspiring ways. In this series of tutorials, we'll be learning how to master the Graph Editor. The Graph Editor can be a tricky tool to use in After Effects but it's very powerful and once you understand how it works, it will transform the way you animate.